This enigmatic photo appeared in an Ottawa Citizen story here. The photo is credited to yours truly. I do have vague memories of taking the shot; I'm pretty sure it's Jim Hole's hand. 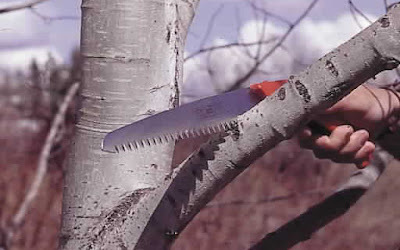 We were writing an article on the proper pruning cut. How the shot wound up in the Citizen, WITH credit, is a mystery to me.